David Manship received his elementary school education in East Baton Rouge Parish public schools. He is a graduate of Sewanee Military Academy in Sewanee, Tenn., and of DeVry Institute of Technology in Dallas. He served in the United States Army from 1968 to 1971. He was named “Outstanding Trainee” at Fort Polk and rose to the rank of Specialist 5th Class. 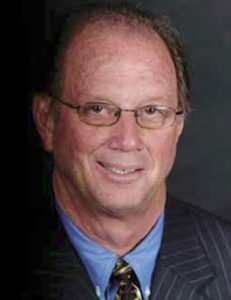 In 1973, Manship began his career at The Advocate, in Baton Rouge. In 1985, he was named vice president of sales and marketing and became associate publisher in 1989. He served as publisher from 1991 to 1999, returning to the publisher’s office in 2007 until the paper was sold in 2013. Manship is a past president of the Louisiana Press Association and the Arts Council of Greater Baton Rouge. He also serves on the board of directors for Capital City Press, Louisiana Television and Broadcast Corporation, and Mobile Video Tapes. He has served on the board of directors for the Advertising Federation of Greater Baton Rouge; the American Red Cross; Camp Fire Girls and Boys; Keep America Beautiful, Baton Rouge; Capital Area Corporate Recycling Council; and the Greater Baton Rouge Chamber of Commerce. In 1984, he was one of 13 individuals to receive the President’s Award presented by the LSU Foundation for meritorious support of higher education. In 1989, he was honored with the Sales Executive & Marketing International Marketer of the Year Award. Manship has also been active in various other organizational groups and membership drives. He has one son, Jake.